Time flies when you're having fun! Or when your whole family comes down with Noro for a whole week right when school is starting up again. But, we're all healthy again, and I was able to dye a few things for you this week in between getting sock club ready to go! I've got a few skeins of Gibberellin for you this week. 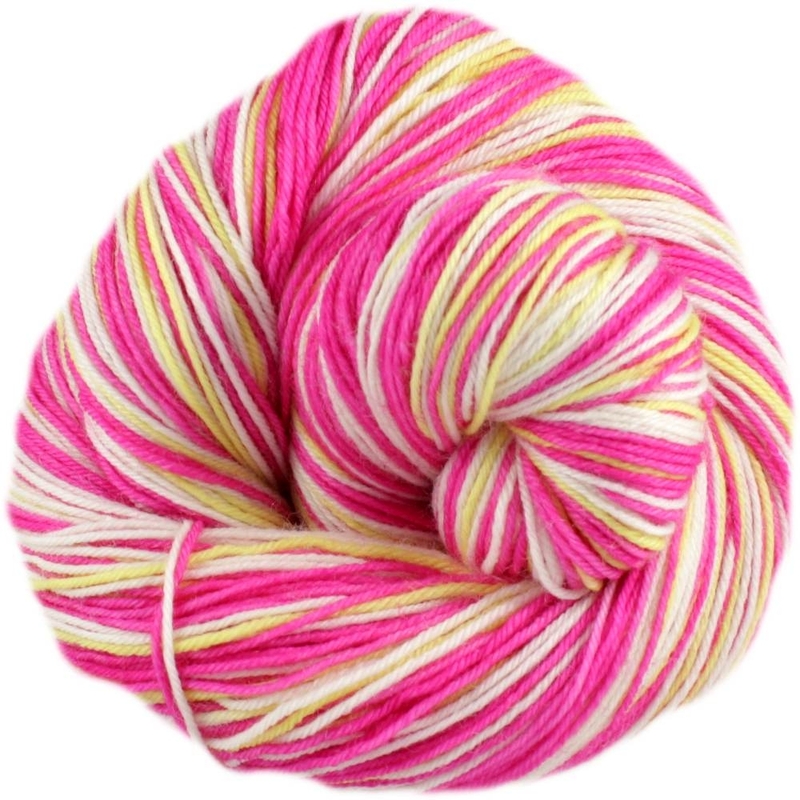 This is a complex stripey, with 10 rows pink orchid, 3 rows whtie, 3 rows pale yellow, 3 rows white. Gibberellins are any of a group of plant hormones that stimulate stem elongation, germination, and flowering. You can see what this colorway looks like knitted up here. Next up is Galactic Ghoul. 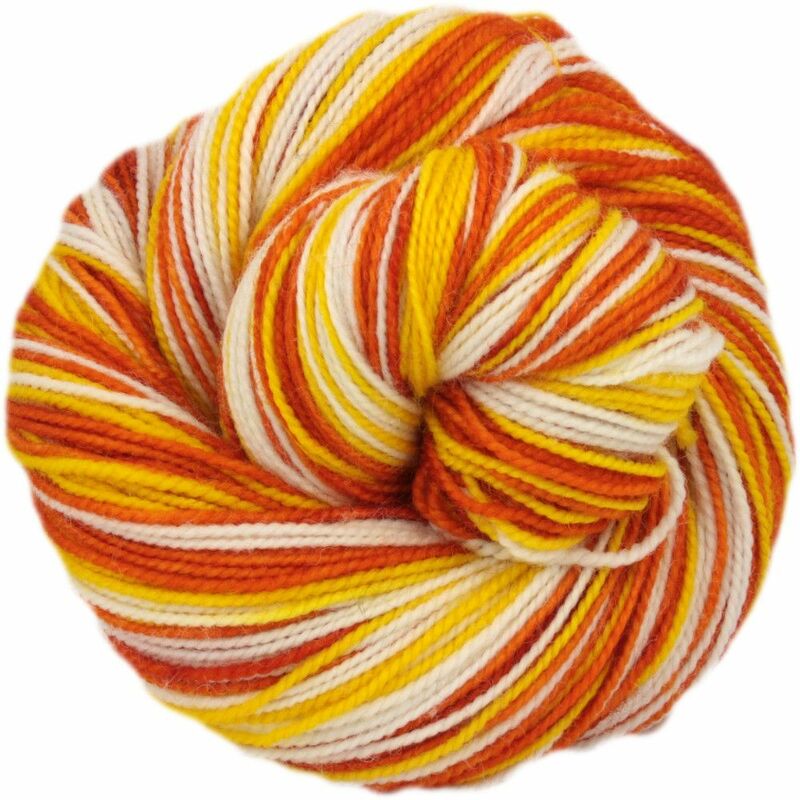 This is a 10 row stripey, with 10 rows white, 10 rows yellow, 10 rows burnt orange. DR 6 is a cluster of stars in the Milky Way galaxy, composed of dust, gas, and about 10 large newborn stars, each roughly ten to twenty times the size of the Sun. The DR 6 cluster is also nicknamed the "Galactic Ghoul" because of the nebula's resemblance to a human face. Last this week is Bumblebee Jasper. 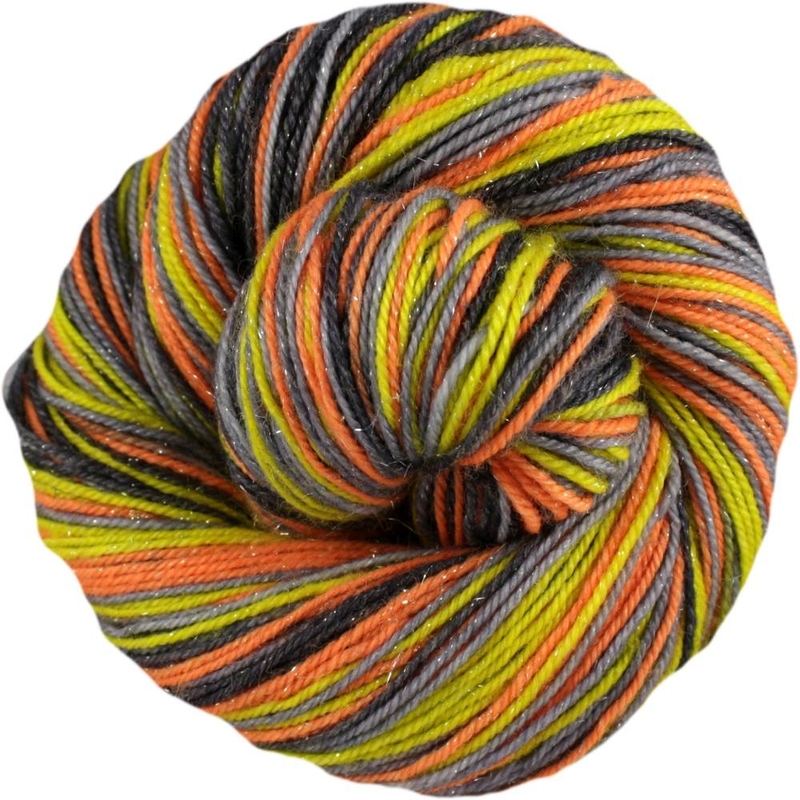 This is another complex stripey, with 7 rows fluorescent orange, 3 rows grey, 7 rows yellow, 3 rows grey, 7 rows charcoal, 3 rows grey. Bumble Bee Jasper (or Bumblebee) is actually a combination of volcanic matter, anhydrite, hematite, sulfur, arsenic, etc. There is much debate over whether it is a true jasper or an agate, as some have called it. The lovely patterns on this stone often imitate the coloring found on bumblebees, hence the name. I'm down to my last skein of undyed Force, so I'm going to be discontinueing the base as of now. You can get 15% off the remaining Force in stock using the code "Feeltheforce" no quotes, at checkout. You can see all the colors I have available in this base here.